The Attitude Era was a great time for those who grew up watching it. If you lived through it, it was one of the most exciting times in wrestling history. Hands down. 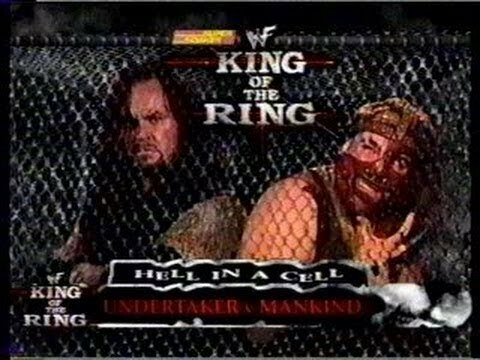 One PPV that is remembered from that era is King of the Ring 1998, with good reason: the Hell In A Cell Match. Taker vs Mankind was a classic without a doubt, BUT this PPV had much more to offer than just one match. Overall this event might not be a classic in terms of wrestling, but it featured a lot of entertaining moments. The opening match was The Headbangers and Taka Michinoku vs Kaientai. Now, the match only went 7 minutes but I actually found it entertaining and enjoyable. The Headbangers and Taka get the victory in a nice little opener, leading us into the first King of the Ring Semifinal Match with Ken Shamrock vs Jeff Jarrett. My biggest gripe about these matches are that they are always short and this one was no different. Once again, the match wasn't a great in ring display, but it was entertaining. Shamrock gets the victory and is headed to the Finals. The Rock takes on Dan Severn and garners a victory and now we have Shamrock vs Rock set for the Finals. Now if you remember the year 1998, you know Rock vs Shamrock was a damn good rivalry. This match would be the true culmination of the rivalry and what better way to end it? Before we got the Finals though, we got an unnecessary tag team match with Too Much vs Al Snow and his prop called Head. I mean, it is a glorified handicap match and not noteworthy on this card at all. Too Much wins and no one cares. 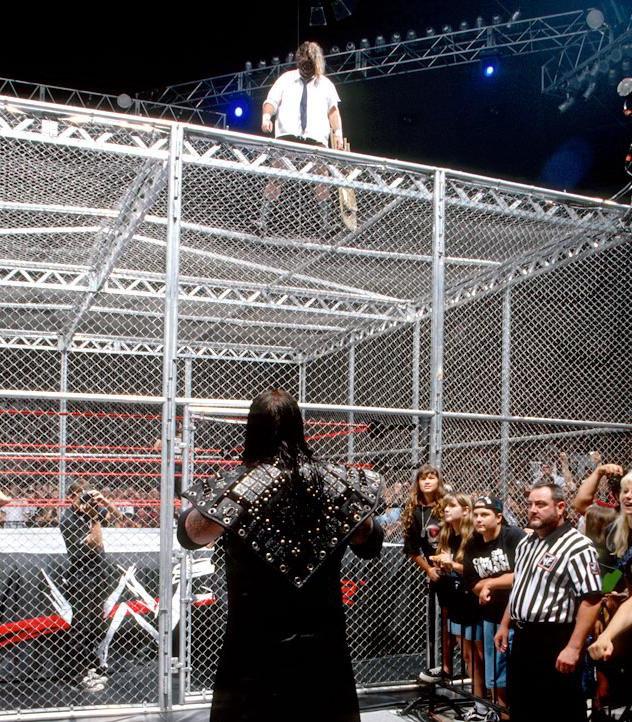 DX was hugely popular and would be in the next two matches as X-Pac put on a pretty good entertaining match with Owen Hart and picked up a victory, while the New Age Outlaws successfully defended their tag titles against the New Midnight Express. Both matches were pretty good, nothing too special, but I enjoyed the energy that DX brought with them in every interaction and match during this period. Both are pretty solid matches, but if you had to choose between these two, I would say Owen vs X-Pac is easily the more enjoyable of the two to watch. Now we arrive at the Finals between Shamrock and Rock. One funny moment of the night is Triple H on commentary calling himself a lot of things that are "Bi", which still is odd today, but regardless, The Rock and Shamrock ended up putting on a very good match, and overall this might have been the actual match of the night as far as ACTUAL wrestling. Shamrock gets the victory and walks away with the King of the Ring crown. Part of me wanted Rock to win, but regardless I enjoyed what I watched and this match set the tone for Triple H and Rock to truly begin their feud against each other, which would go down in history as one of the best ever. 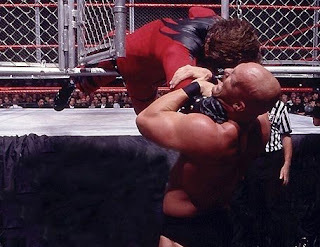 The following match is the most infamous match of the night and one of the most known of the Attitude Era. Taker. Foley. Hell in a Cell. Now, from a wrestling standpoint, this match is nothing special in any shape or form. However, the action and brutality of this match still resonates to this very day and Foley took an amazing amount of punishment throughout this entire contest. Taker throws him off the top of the cell and chokeslams him through the roof of the cell, slams him on thumbtacks, tombstones him all to get the victory. Foley gets minimal offense and gets a brutal beating, one which earned him more respect than he ever had with the fans. A crazy match, but one that remains iconic and is a crowning achievement for Mick Foley even in a very violent losing effort. Now, the main event to me is pretty odd. Austin defends his title against Kane in a First Blood match. Kane has a mask on. We can't see him bleed on his face so it's just odd that this match occurred besides the fact that Vince wanted Austin to get screwed over. Austin was doing well in the match but fought interference from Mankind and eventually Taker, who actually hit Austin and cost him the title as Austin bladed and began to bleed. Kane would begin his one and only WWE Title reign for a day (the World Heavyweight Title is a different belt that Kane won). So there you have it. King of the Ring 1998. Not the best, not the worst. But, it has a few big moments and a few good matches. All in all, a good watch. 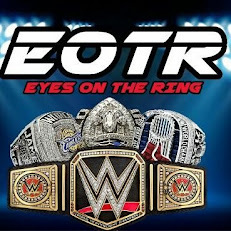 Check it out on the WWE Network.